An ISOCARP jury assessed, compared and discussed the entries of three design teams in an international urban design competition for the Shantou, China. In March 2013 the Shantou Rural and Urban Planning Bureau hosted a successful UPAT Workshop for the organic regeneration of the Shantou historic old town. 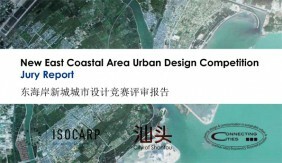 As a continuation of the cooperation between the Shantou Rural and Urban Planning Bureau and ISOCARP, the Shantou Rural and Urban Planning Bureau has invited ISOCARP to select the chair and three members for a jury of seven members to access and evaluate the three entries of the International Urban Design Competition for the Shantou (PRC) New East Coastal Area. A Jury with seven members of ISOCARP carefully assessed, compared and discussed the entries of three design teams in the International Urban Design Competition for the Shantou New East Coastal Area during four full days. 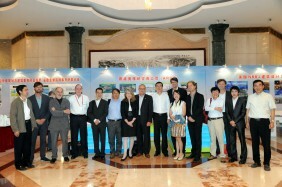 The jury met four full days between 15 and 18 October 2013 in Shantou. “Return to Shantou” by KuiperCompagnons and Paul Andreu Architecte Paris (The Netherlands and France).